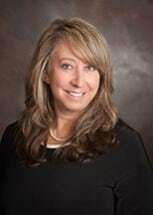 Julie A. Laczkowski is a graduate of Miami University of Ohio and Pace University School of Law. She has worked in the workers' compensation field for three years. Her prior background in criminal and family law provides a strong legal foundation which transfers seamlessly to the practice of compensation law. Julie's legal background includes both negotiation and settlement conference skills, as well as invaluable litigation experience. She understands the difficult and frustrating position that injured workers face when they're treating to recover from an injury, while at the same time they're battling with an insurance company themselves. Julie is devoted to a zealous and thorough representation of injured workers so that their benefits are maximized while they focus on recovering from their injury.